In addition to the PM program, the district also is taking a closer look at building performance by streamlining its DDC program. The district currently works with about six different DDC systems and wants to reduce that to one or two. In 2015, the district implemented an energy master plan to identify the heaviest energy-consuming buildings in the district. 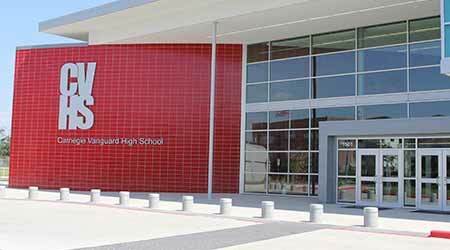 The district contracted a statistician and engineer to identify and audit the worst-performing buildings among a cluster of 20 based on occupancy totals, square footage and total energy use. The data produced some startling results. The engineer’s audit of the 20 chosen buildings showed energy savings would amount to $2.2 million in a year. Motivated by the potential savings, the district approved funding for additional positions, including energy and sustainability managers, additional auditors and technicians who would perform the duties required to achieve the energy savings. Williams’ team achieved its goal within seven months. One of the first buildings Williams targeted for an energy audit, the Farias Early Childhood Center, grabbed the attention of district leaders. The childhood center was one of the district’s smaller buildings at about 40,000 square feet, but audits revealed that building upgrades could produce savings of more than $80,000. The buildings selected for the audits revealed other important information to the maintenance and energy teams. After experiencing so many successes through the PM plan and the energy audits of 20 buildings, the district plans to continue audits through more buildings and find more opportunities for energy efficiency.